Photographer Michele Mossop recently made her first appearance on these pages with a beautifully nuanced portrait of singer Matthew Henrick. Michele is widely known in Australia as a news photographer whose images are distinguished not just by a clear factuality that captures the essence of the story but also a sense of light, shade and composition that vividly evokes its human aspects. 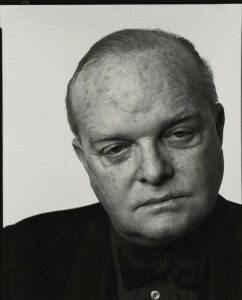 That duality was to the fore in her picture of Matt – a publicity shot for his recording of Shakespeare’s Sonnet 18 – which combines a studio portrait of the singer and a photoshopped image of Dreshout’s famous engraving of the poet. It turns out that Michele’s work, and portraiture especially, is heavily influenced by Renaissance art. To learn more about what shapes her craft, we asked her about her influences, career and creative process. I always loved faces, portraits of any kind, and dancers especially. I also loved the old family photos. I thought about doing a course in photography, but photography was looked on as a trade. All the courses looked far too technical – they didn’t even mention subject matter. So I forgot about it and studied Fine Art at Sydney University; back then, the subject consisted only of art history. I loved the Renaissance and Baroque. I loved Italy. In January 1979 I moved to Florence. It was a very interesting time. The Red Brigades, the Historic Compromise, the P2 masonic lodge – they were all interconnected (see References below – Rody). The newspapers were many and varied and the news magazines ran great photographs – all news, unposed, spontaneous. When I arrived in Italy I skirted around the idea of photography but thought I wouldn’t be any good because of the technical demands, so I thought about doing paper conservation. On my second day I photographed a maxi terrorist trial where the leader had just been captured. 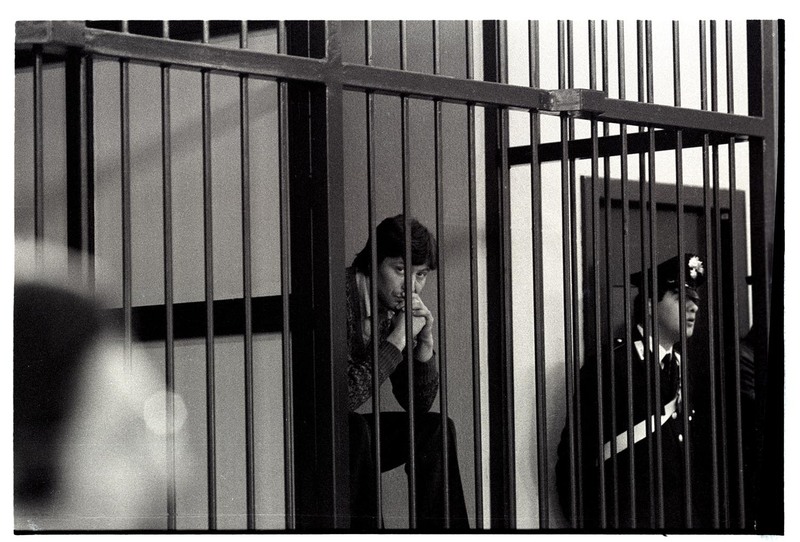 There were about 96 defendants in 12 cages…. My interest in paper conservation was less than lacklustre. It was just a way to have something to do with photography. But everyone in Italy seemed to have a darkroom in a cupboard or bathroom and everyone wanted to be a fotogiornalista. There were no schools or courses of photography. A boyfriend taught me how to develop black and white film and printing. i discovered it wasn’t that difficult. I became obsessed and spent most of my spare time and the little money I had processing film and printing in the bathroom/darkroom. I started to check out the newspapers everyday to see what was happening and would go out and photograph demonstrations and other political events. I then fronted up to the small local daily paper, la Citta’, Quotidiano di Firenze, and asked for work – I started the next day. I think the editor thought I must have been crazy as a foreigner and a woman but he had a lot of faith in me and I just loved it. I had a front row seat to all that happened in the city, and that made me feel very much part of the place. 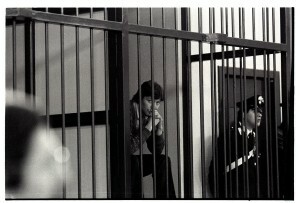 On my second day at the paper I photographed a maxi terrorist trial where the leader of the group had just been captured. There were about 96 defendants in 12 cages in the courtroom. I prefer to use available light and to observe and wait for the image to happen. 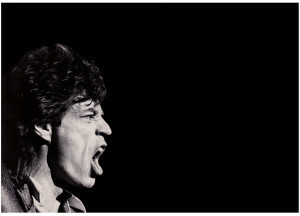 Sometimes this happens in professional life – when photographing the arts, for instance. 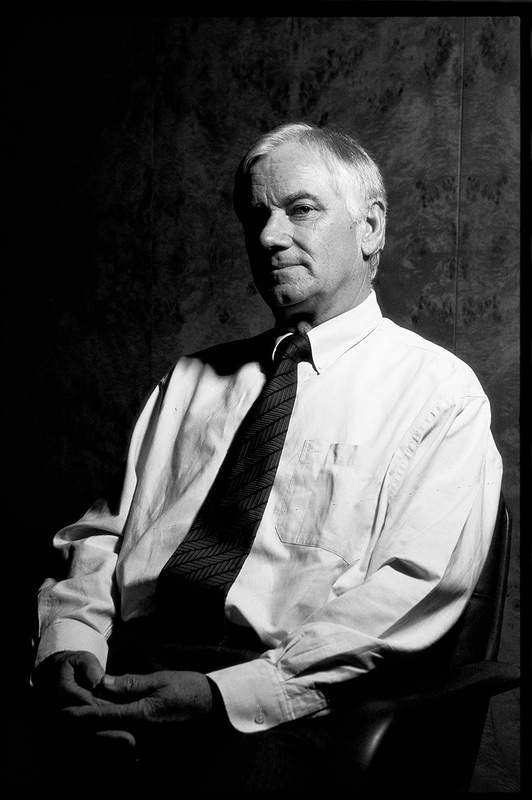 Over the years on newspapers I have seen style move towards more controlled images, especially portraits, with the use of studio lights, art direction; the looser more spontaneous images aren’t appreciated as much. This of course is often mediated by the fact that you usually have limited time to shoot in a place that gives little or no context, so you just try to make a nice looking picture which is well lit and looks polished. More and more in newspapers there is a trend to using a photograph as little more than identification. This is a big worry…. 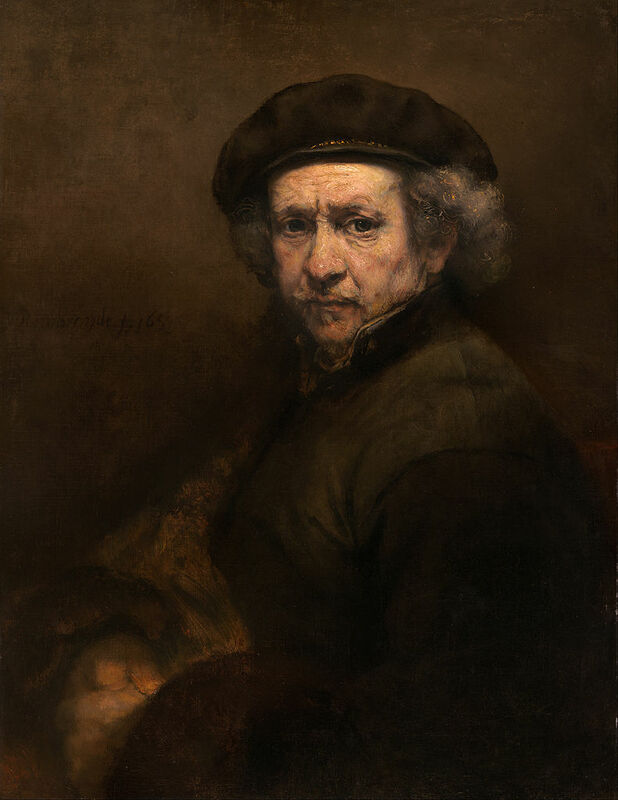 The old masters didn’t have electric light. We still refer to Rembrandt light. 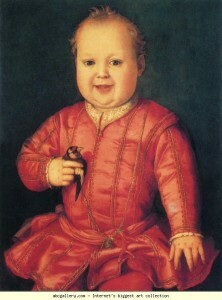 Some of those I particularly like are Bronzino: highly stylised but exquisite; a couple of props to reveal something about the subject – for example, a chubby little boy squeezing a goldfinch. 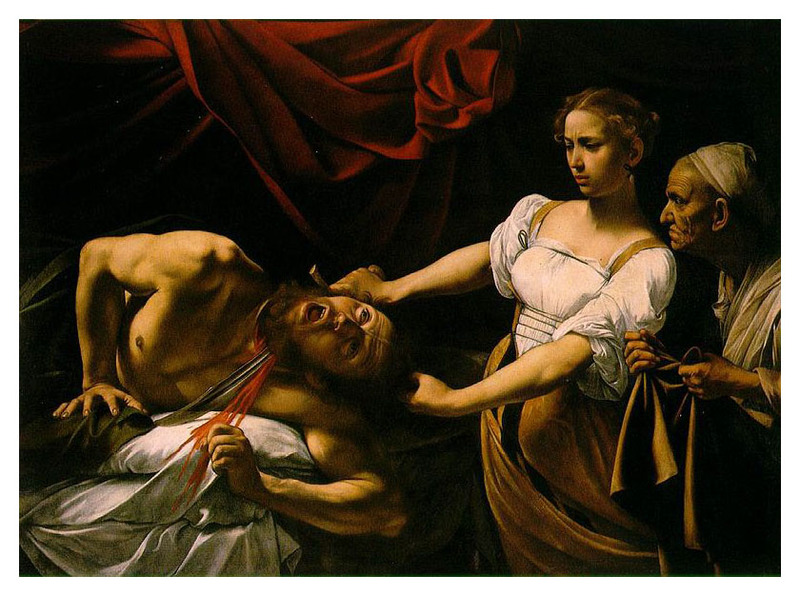 There’s Carravaggio – very dramatic, minimalist for his day, risky; he would have been a big butch war photographer today, or – as a friend suggested – Oliver Stone, just full of it. Apart from the old masters, other artistic inspirations and influences are Mark Rothko and cinema, especially the 1970s. 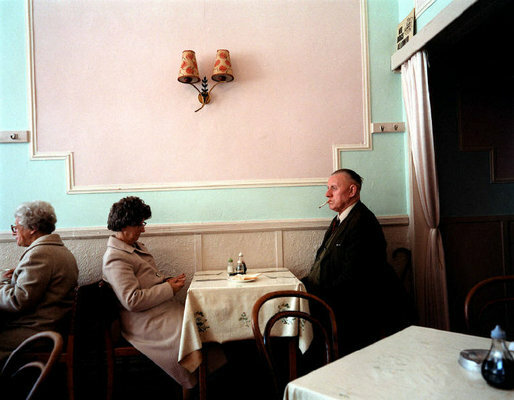 Among photographers, iconic American fashion and portrait photographer Richard Avedon, whose classic portraits reveal much about their subject; the delightful, wry Martin Parr who captures the ordinariness of suburban Britain (or anywhere) – the Philip Larkin of British photography, but with humour and a much warmer heart. 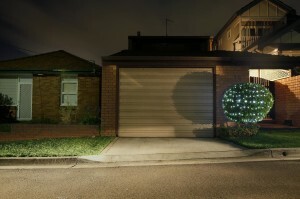 One of the reasons I left Australia was a fear of the silent still suburbia where I grew up. I try to capture it but it always evades. I have became more interested in landscapes – especially urban, suburban landscapes. One of the reasons I left Australia was a fear of the silent still suburbia where I grew up. I try to capture it but it always evades. People ask how I would describe my style: I just look. A lot’s changed since I became a photographer – technology, media. I miss the darkroom and the quietness of working there but I would never go back to it: digital photography is so much easier and it makes a huge difference for a freelancer – just a laptop, no rolls of film, no prints, turnaround is more immediate. What I do miss about film is that you worked more intuitively: there was no screen at the back of the camera to check the exposure. You really had to think about what you were doing and know your camera, like playing a musical instrument. No photoshop. I feel as though I have lost something. Also with digital we shoot far too many frames and very indiscriminately. i looked at some negs I took at a Rolling Stones concert years ago: I shot only two rolls. Back then, you had limited time and only 36 frames per roll and manual focusing. You never wanted to run out of film in the middle of something so you shot with a lot more patience and thought. Today I would have shot the equivalent of about 10 rolls for the same result. I love my iPhone camera – it’s portable and easy to use, but you still have to think about what you are photographing. This week (July 5-12) Australia celebrates its indigenous people, and does so against a background of continuing controversy over the constitutional status of Aborigines and Torres Strait Islanders. In recognition of the event and the complexities that continuously challenge our original inhabitants, I’m offering below an excerpt from my novel-in-progress, “Rody and The Stranger”, which touches (in an admittedly fleeting and indirect way) on some of these issues. We were just about to turn up the hill that leads to the village when our next-door neighbour, Colin, wearing overalls and gloves, appeared from among the trees. Sophie beeped at him and waved. When he recognized us, he flagged us down; he seemed excited. “Oh God, we’re going to be late,” murmured Sophie as she pulled over and lowered the window, leaving the engine running. “Come and have a look at this,” said Colin. “Christ,” said Sophie, slapping the top of the steering wheel with both hands. I jumped out of the car and followed Colin across the road. “Can we come?” asked Rory. A narrow, twisting and very uneven path led through eucalypts and she-oaks to a clearing where Colin and half a dozen others were standing in a semicircle around a large, flat expanse of rock surrounded by piles of freshly cut lantana. I made my way to the front of the group, nodding and smiling at Colin’s wife Brigette and others I knew, all volunteers on the community bush regeneration programme. It took me a moment to figure out what I was looking at and then a shape emerged. Down the centre of the rock and taking up most of the space was a long, straggly outline of a man with a melon-shaped head that was far too large for his body. His eyes were like twin full moons and his lower half seemed to morph into a sort of tripod. The penny dropped and, not for the first time, I cursed the naivety that my sheltered Welsh Methodist upbringing had ingrained in me. “Impressive middle wicket,” I said. “The girls have told us to order more Viagra,” said Tony the plumber. Everyone laughed. “Probably some kind of fertility symbol,” observed David, a schoolteacher. “Well, the other one can only be a couple of hundred years old at most,” said Brigette, pointing above and to the right of the figure’s head. Again, it took me a moment to discern the shape. It was smaller and less impressive than the man-figure in terms of artistic conception, but it made my heart skip a beat: a three-master, complete with bowsprit and a few lines to suggest rigging, riding at anchor in the Sydney sandstone. To say I felt time stand still would be a cliché, but so what? It was as though someone had frozen a moment in history, thawed it and served it up to me on the spot: an Aborigine’s first encounter with European civilisation. For him (her?) the wooden floating object would have appeared strange, perhaps unearthly, while the medium in which he recorded it was natural and familiar; for me the object I was looking at was familiar from movies and illustrated history books, but I was seeing it in a new and alien way. I imagined the artist and me to be two observers at different points in time momentarily sharing a sense of being jarred out of our respective contexts. And then there was the contrast between the subject matter of the two engravings, and the clash it could be said to represent between modern and ancient, dreamtime and real time, one culture and another. Oh, don’t get me started…. I was still thinking of the engraving of the ship. I fantasized that the original might have been the mother vessel of Captain Phillip’s expedition, witnessed by some Durag people from the banks of the Hawkesbury. I further fantasized that the process of engraving would have been a way for the artist to come to terms with this extraordinary encounter, by re-ordering his personal experience into something which, aesthetically at least, was definitive and, therefore, something he could own and control. I knew, of course, that I was imposing my own conceptions and assumptions—if not my own psychological needs—on experiences and processes that I could only imagine and not fully understand. No doubt the reality, as usual, was infinitely more prosaic and complex. I remembered from my reading of local history how a party of Aborigines had attempted to board a settler’s boat on the Hawkesbury in 1873. The passage quoted a contemporary account from The Sydney Morning Herald which said the settler had aimed a pistol at the leader and “dispatched him to the shades”; the other raiders fell back, discouraged. It was only later that I learned the phrase was from Ovid. To the writer and his readers the allusion was probably no more than a stroke of rhetorical colour in a report that was fair and balanced, about an incident of which the rights and wrongs were clear-cut. It might be appropriate here to mention “Shadows in a Landscape”, Rody’s song about Albert Namatjira, which he wrote about on January 26, Australia Day (scroll down for article and link to song). 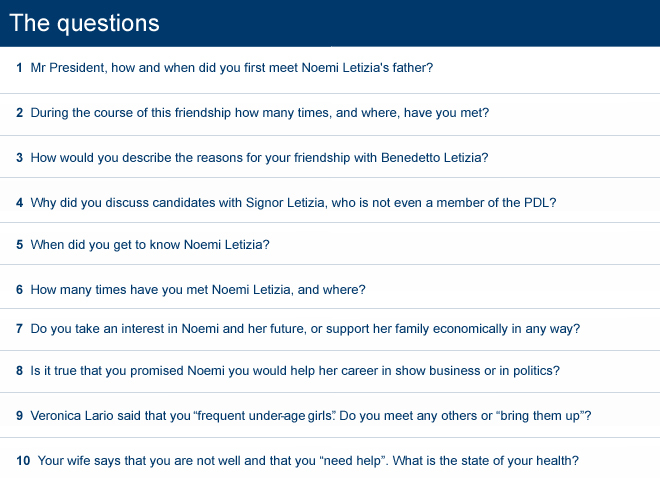 The 10 questions were in reference to Berlusconi’s alleged affair with an 18-year-old (more background here). The questions below were taken from la Repubblica‘s website; not sure why they address Berlusconi as “Mr President”: a sarcastic reference, perhaps, to the impression he once gave of harbouring ambitions to become the country’s head of state?